Café Nomad in sector 7 serves authentic Middle-Eastern food including cuisines like Arabic, Iranian/Persian, Greek, Lebanese and Turkish. The food is authentic. The ambiance transports you to Middle-East. And the service was exquisite too. 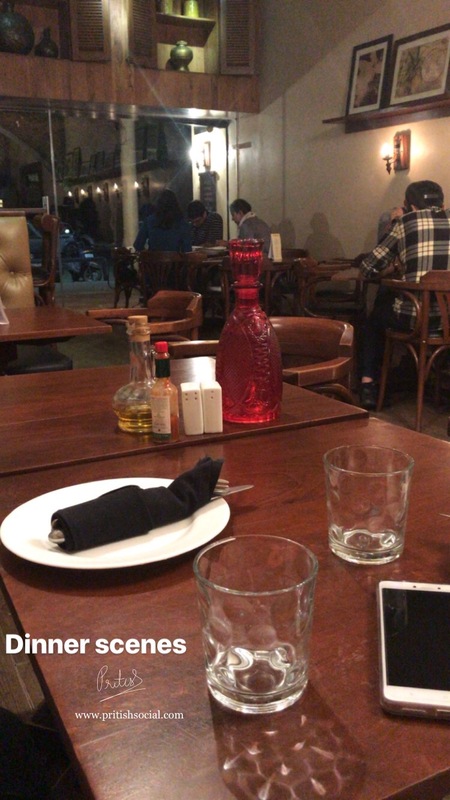 The restaurant looked spacious and the tables & chairs were set right and were extremely comfortable. The ambiance had proper lighting that matched the ethos of the cuisine and totally mesmerized us. 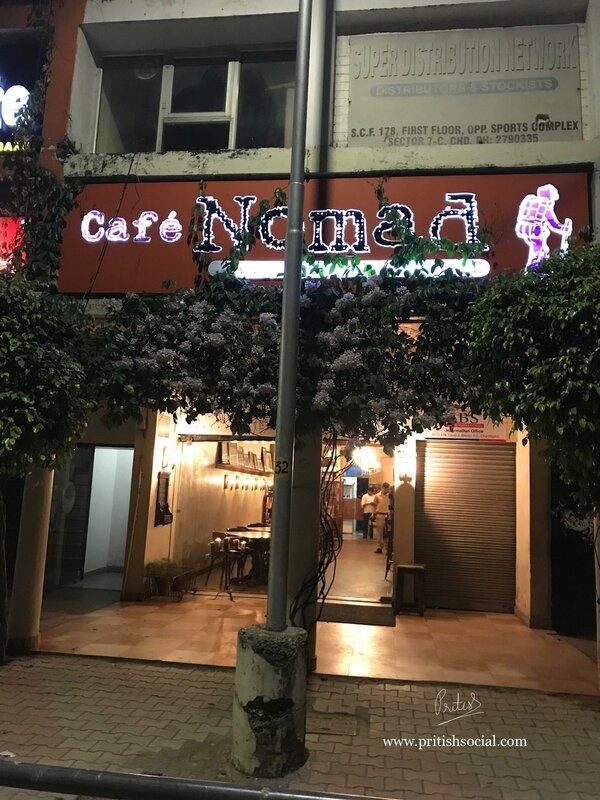 Café Nomad serves Middle-Eastern cuisine and with the visuals and art portraying Middle-East, we felt transported to Middle-East in an instant and felt a greater sense of connecting with the food, thus taking the experience several notches higher! Muhammara is a hot pepper dip originally from Aleppo, Syria, found in Levantine. It was not hot at all but was moist and nice. The Laban with mint was our first favourite. It had the right texture and also was moist. Our second favourite dish was the Pistachio Hummus which was extremely delicious. The Spinach Fatayer was a little bland for us but the Cheese Bolek was fried well. The cheese oozed out the moment we had a bite. The falafel was authentic and delicious too. The Veg Mezze Plater was a bit heavy for the two of us. 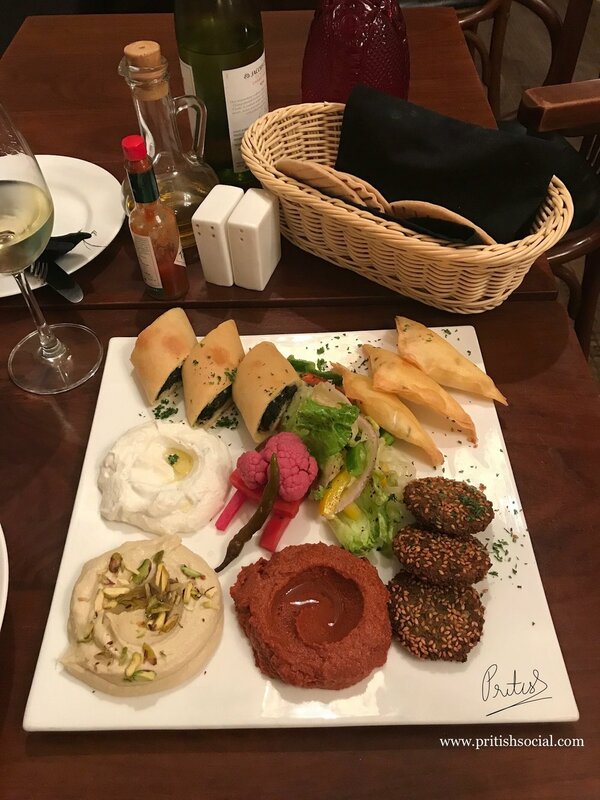 If it is just two of you who are eating the platter, there is the high probability that you may not order a dessert and may settle with just a main course like how we did. As you see in the pictures below, the main course is a large portion and can be extremely filling. The couscous and vegetables were cooked well. The dish was quite heavy. If you are a non-vegetarian, you would love to eat here. Do feel free to ask the Chef for more recommendations on your visit. The chef indicated that a new menu will be launched on 1st November 2017. 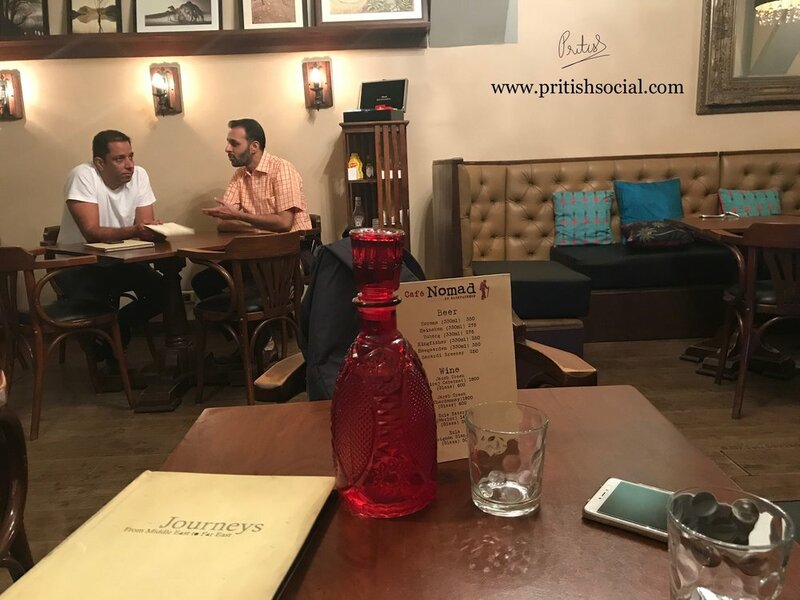 He also claims that this 8-year-old eatery is by far better than other Mediterranean restaurants in Chandigarh because Café Nomad serves authentic food and also uses fresh produce all the time. The Chardonnay displays fresh lemon citrus and stone - fruit flavours, with a soft and creamy texture. Since it tastes well with creamy dishes, we had a bottle of Chardonnay for ourselves. The menu is available on Zomato.